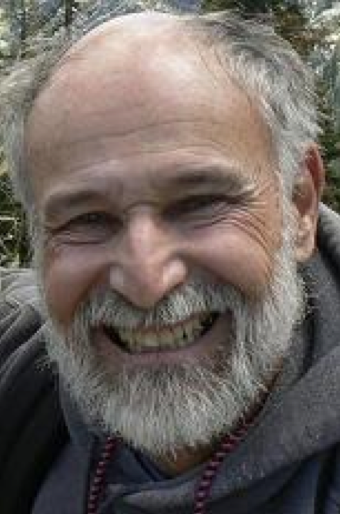 HINDLEY, Stewart (c. 1943-2007), 64, drowned while diving at Santa Cruz Island on a Truth Aquatics trip. Hindley was 64 years old. July 12, 2007 [Sonoma News]: “Stewart Hindley, 64, a retired marine engineer from Glen Ellen, drowned Tuesday morning while scuba diving from a chartered cruise ship near Santa Cruz Island off the Santa Barbara coast. A multi-agency search that ended Wednesday morning located his body on the sea floor at a depth of 80 feet, 50 yards south of the spot where Hindley and two companions began their dive, according to Sgt. Eric Rainey of the Santa BArbara Sheriff's Department. The department's divers took on the search Wednesday morning after a surface and underwater effort by county lifeguard divers and Coast Guard personnel came up empty. "Our guys did great interviews with divers (on the cruise ship) Rainey said. "They helped with the location." The cause of the drowning is still under investigation. Hindley's body has yet to be released by the Santa Barbara County Coroner. So far, all that's known is that his two diving companions returned to the ship and Hindley did not. Other dive teams on the same ship reported no problems. According to Hindley's widow, Diana Hindley, her husband was in good health and "a superb athlete" who learned to scuba dive along with their son, Ian, seven years ago. Regarding possible equipment failure she said, "He just renewed his equipment, the mask and diving apparatus." On board the cruise ship, she added, "they have technicians... to check out the equipment." The ship Hindley chose was the Vision, one of three ships available from Truth Aquatics for cruises of California's Channel Islands. Hindley booked the expedition through Marin Dive Center and drove south with other area participants. "He called me enroute from King City and said they were a great group of people," Diana Hindley said. "He dove the first two days with one guy from Rohnert Park." Hindley was on his third day of the expedition when he failed to return to the ship. "He was doing what he loved," Diana Hindley said. "He had a great zest and passion for living." Apparently, Hundley also had zest for human connections. "He was very well loved," his widow reported. Those who loved Hindley will have a chance to pay their respects at a memorial service, but the time remains undetermined. "We haven't had any closure yet, reclaiming his remains," Diana Hindley said. "It may take as long as a week." In the meantime, Diana Hindley and the couple's children, Hannah, 20, a student at Harvard, and Ian, 26, a marine electrician in Oakland, are doing what they can to deal with their loss. "It's shocking when you have a sudden death," Diana Hindley said. "So unexpected. There's nothing you can do to prepare for it." This page was last edited on 19 January 2016, at 22:55.